Rodney Ast has a PhD in Classics from the University of Toronto. 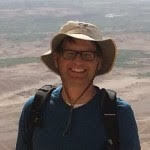 He is Senior Research and Teaching Associate in the Institute for Papyrologyat the University of Heidelberg. His main areas of interest are Greek and Latin documentary and literary papyrology and palaeography; the cultural and social history of Graeco-Roman Egypt; Egyptian archaeology; digital papyrology. Besides authoring works on Greek and Latin papyrological and inscriptional texts, he is involved in digital initiatives (papyri.info, Digital Corpus of Literary Papyri, pappal.info) and takes part in excavations at Amheida (Dakhla Oasis) and Berenike (Eastern Desert).